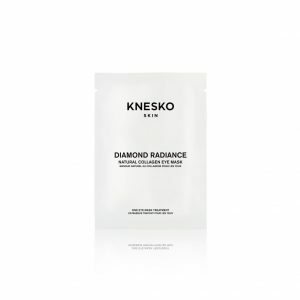 Enjoy a total spa-like experience in the comfort of your home with KNESKO’s deluxe Diamond Radiance Signature Facial Masking Set. Our convenient, single-treatment facial set includes face, neck, and décolleté masks, plus BONUS eye and lip treatments. Get the whole set as a true Diamond Radiance sampler box for less than if you were to buy all the products separately. Our Diamond Radiance Signature Facial Set uses diamond microparticles as a delivery system for all-natural and powerful ingredients that simultaneously stimulate the skin and the soul. The Face, Neck + Décolleté masks combine to give you a generous 2.5 oz of rejuvenating serum that penetrates to the deepest layers of your skin to promote cell regeneration, hydration, and brightening for a more youthful, supple complexion. We recommend applying the extra serum to the rest of your body, massaging it into your arms, chest, and stomach – or even use it for a full-body treatment! All the while, the “King of Gems” works to stimulate your Crown Chakra and open the radiance of your spirit. Everyone knows that beauty is much more than skin-deep, and the best accessory for a youthful look is a bright spirit. 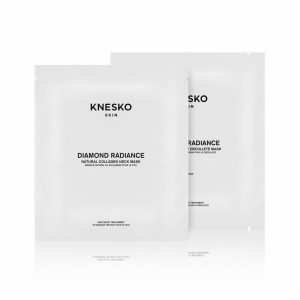 KNESKO’s facial mask sets are meant to serve as a total self-care ritual. It begins by setting the right mood and creating a sanctuary space for you to indulge in your luxury-level skin care treatment. 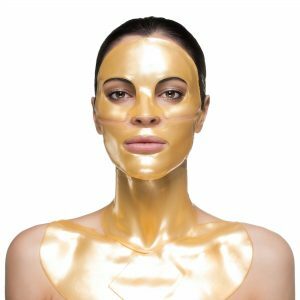 After you apply the masks to the entire face, neck, and décolleté, allow the Reiki energy to flow as your mind and body relax and rebalance. Always biodegradable and cruelty-free, our complete facial mask sets are sustainable and honorable. Bring this useful single-treatment set with you on a work trip or on vacation to enhance your glow and promote spirit-body alignment. Single treatment diamond facial mask sets also make excellent gifts for anyone in need of a little GEMCLINICAL™ lift. This true sampler box of our entire Diamond Radiance Collection contains separate single eye and lip treatments that you can use whenever you want to revive and maintain your glow. Designed by a team of doctors, our precious gem-infused masks are made with our exclusive, trade-secret GEMCLINICAL™ technology to promote healing of the skin from the inside out. Help reverse discoloration, dark circles, and signs of stress of fatigue to give your skin a luminous, youthful glow! 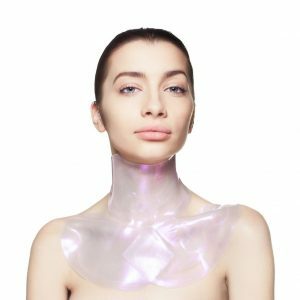 Apply hydrogel pads to the Face, Neck and Décolleté. 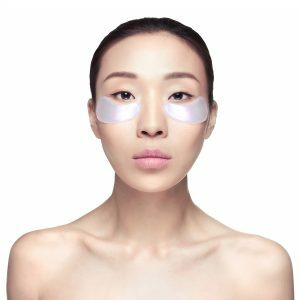 Gently push down on the mask to smooth out air bubbles and increase suction.